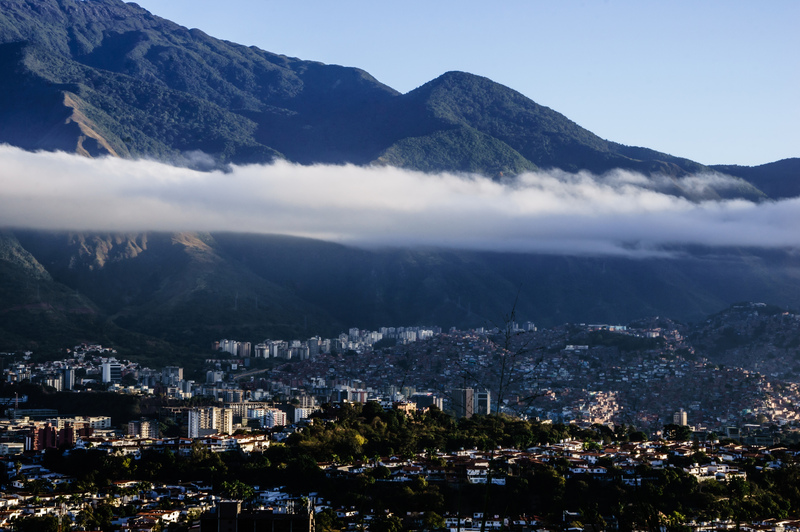 Officially known as Santiago de Leön de Caracas, Caracas is the largest city and capital of Venezuela. Just over 2 million people live in Caracas in an area of 269 miles squared, and although the city has a reputation for being dangerous, it also has a vibrant nightlife, and is a great base for exploring other parts of the country. 400 years ago, prior to the founding of the city, the valley was populated by indigenous people. 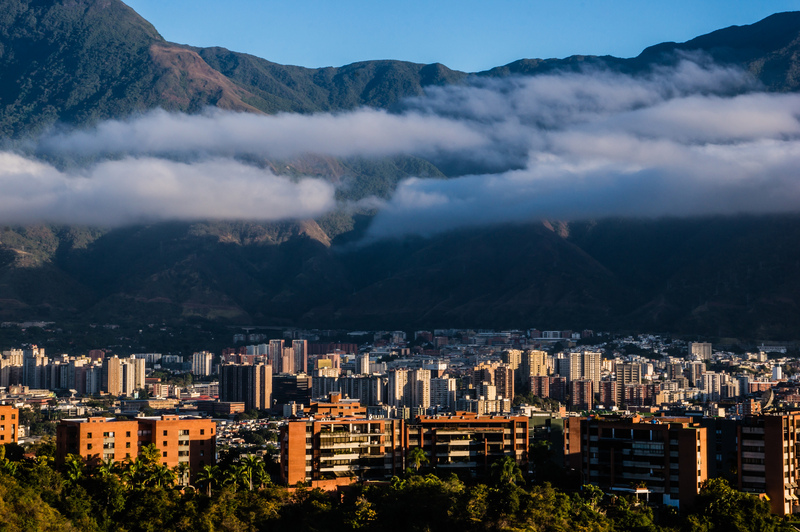 After a small fight, the founding of the city of Caracas was established on the 25th of July, 1567. Throughout the early modern history of the city, it was often invaded by pirates, due to the city’s position along the coastline of the Mediterranean Sea. It was only in 1777 that the city became the capital of Venezuela, after it gained importance through the trade and cultivation of cocoa. 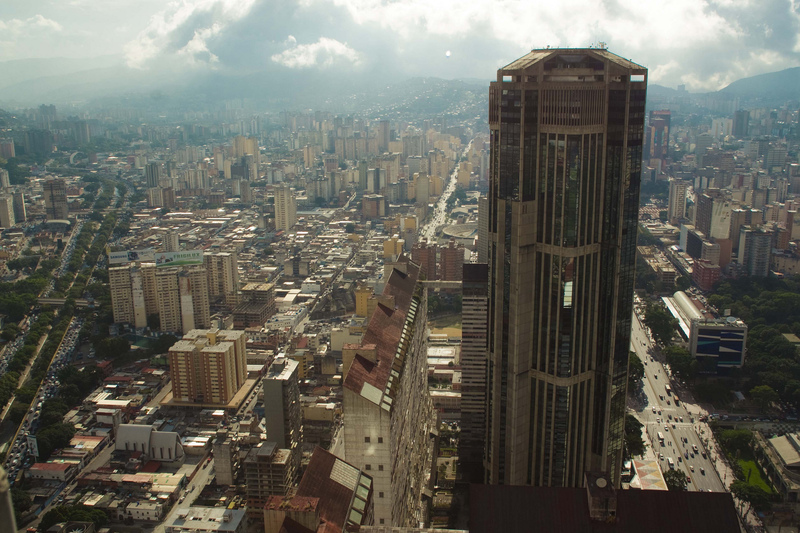 Caracas today is still fairly dangerous and precaution should be taken when visiting the city. Be sure to look at the political situation, as there are often riots but don’t let the uncertainty ruin your trip – as long as you take the necessary actions, which at time may include bodyguards and avoiding parts of the city altogether, especially at night, you should have an enjoyable stay. The La Estancia Art Center, located in the middle of the city, is a well-preserved house surrounded by beautiful gardens that hosts a variety of cultural events. Some examples of events that are held include yoga classes, art and history exhibitions, as well as authentic Venezuelan music performances. No eating, drinking, or smoking is allowed on the premises, and while this can at times be annoying it makes for a nice break from the pollution and general noise of the city. It is closed on Mondays, but open every other day, and is located in the Altamira district of Caracas. The exhibitions change frequently so it is a great place to revisit if you return to Caracas often. 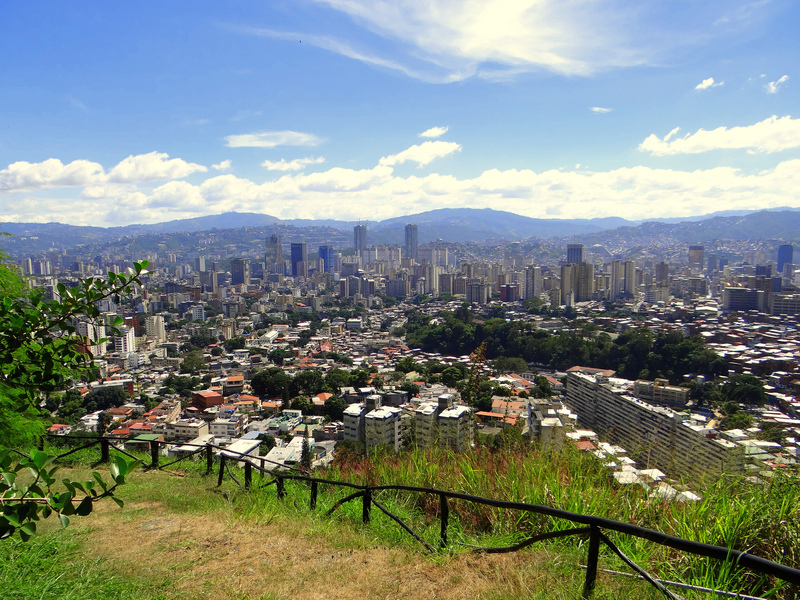 Galipan, located in El Ávila National Park , to the north of Caracas, offers incredible views of the surrounding area. To get to the top you can either take the Teleferico, or walk to the top, which is only recommended if you are fit. Alternatively, locals drive up in 4x4s and can offer you a lift, though they may expect some compensation. At the top there are several restaurants, all of which are fairly similar and serve mainly Venezuelan food, nestled between the buildings of the old town. Essentially you are able to enjoy the nature, with availability for horse-riding if you organize it beforehand, and otherwise, there are many options for hiking. Alternatively, you can arrange a jeep tour of the national park. The Parque Del Este, also known as East Park and located near the Miranda metro stop, is a large public park that contains a planetarium, a small zoo, as well as a man-made lake with paddle boats that can be rented for a small fee, and turtles swimming around. There is also a café that occasionally opens to serve a delicious café con leche. For those looking for adventure head to Guanyana City, located in Bolivar State, Venezuela. Situated at the foot of the Orinoco River, the city is a perfect starting place for a trek through the Amazon rainforest, following the path of the Orinoco. 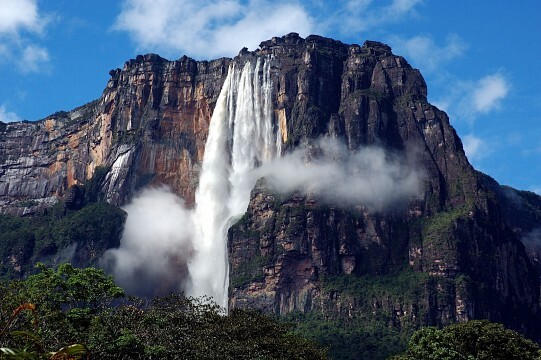 Many tour companies will take you on a tour down the Orinoco, often ending with a helicopter flight over Angel Falls — not for those scared of heights! Osprey Expeditions are one of the best tour companies specializing in Venezuela, with English-speaking guides and sales representatives. If you are just interested in experiencing the river, their most popular tour actually starts in the small town of Maturin, a 50-minute flight away, heading east out of Caracas, and last three days. You will be able to see incredible flora and fauna as well as some wildlife, depending on the time of year you travel. You can find an abundance of travel agents located in Caracas tourism center and it is much cheaper than booking with a travel agent back home. Most hotels will also be able to assist you if you are looking to travel beyond Caracas. Los Isabella’s is located in a back street of Los Chorros, on Avenue Eugenio Mendoza – make sure the taxi driver knows where he is going before you get in! The restaurant is in a remodeled house, giving the place a homely feel. The Chef, Eduardo Moreno, offers fixed -priced menus, based along different themes that change almost every night. He personally greets all of the guests, making it feel as though you are personally welcome. Eduardo has traveled all over the world and each of the themes reflect a place he has been before, resulting in incredible flavors. Uniquely, this is a ‘bring your own booze’ restaurant, so you are able to enjoy your own bottles of wine, though the restaurant does also serve alcohol. A menu is around 50 - $ 60 USD a person, including starter, main, and dessert, depending on the type of menu. If you are looking for a good steakhouse, head to El Brasero Steakhouse located in El Paraiso District of Caracas. Significantly less expensive than Steakhouses in upscale hotels, El Brasero serves a large variety of steak cuts, as well as chicken and fish, all cooked to your liking. The restaurant is semi-open air, so be sure to go when the weather is nice, as it can otherwise feel quite stuffy. Expect to pay around $ 25 USD for a steak meal per person. The JW Marriott Hotel, is the best of the five-star luxury hotels. With a spa, pool, fitness center, workout room, and even tennis courts, the hotel really does offer you all the amenities. You could easily spend a day just in the hotel, enjoying the pool and spa area. Located next to Campo Alegre, on Avenida Libertador, it is close to the university's main campus and the Los Dos Caminos park. One of the highlights of the hotel is the lobby bar, which serves signature Rumtinis, as well as great bar snacks and excellent service. Wealthy locals of Caracas often come to the hotel, just for a drink in the lobby and as a result there is a great atmosphere. One night in a standard double room is around $ 130 USD . Hotel Alex, is a three-star boutique hotel, located in La Candelaria area of Caracas. The hotel has a bar, as well as a spa and fitness center, and free internet throughout the hotel. Located just next to the Parque Los Caobos, the hotel is in a central and safe district of the city. The hotel is just 50 minutes from the airport, though this varies dramatically depending on traffic and is a great bargain compared to other hotels of similar standing. The staff are friendly, and being a new hotel, the entire premises is very clean. One night in a standard double room is around $ 80 USD . 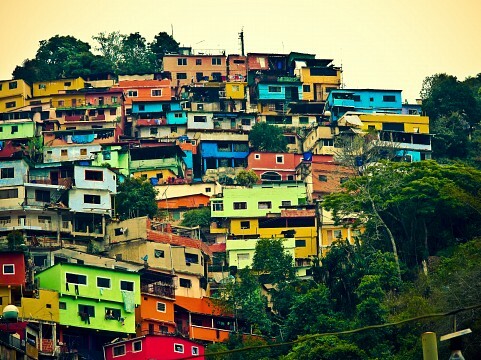 For a large capital city, the choice of hostels in Caracas is quite limited. This is almost certainly due to the security situation and the fact that few backpackers choose to travel into Caracas. The Alto Prado Inn, is one of the best places if you are worried about safety, but don’t have much money to spend. Located in a secure neighborhood, with private security, guests of the hostel have access to a basketball court, a futsal pitch, and a baseball field. Guests have access to a shared kitchen, a washing machine, and a computer with internet connection. The hostel also offers guided tours, all accompanied by private security, giving you piece of mind while staying in the capital. For $ 30 USD a night, you get a private double room with an ensuite bathroom, and breakfast included. Isla de Magarita is where you’ll find the best deals, as the entire island offers duty free shopping. Getting there is a little difficult though, as you’ll have to fly from Caracas, but if you are planning on buying a lot of items, especially those with a high tax, it is definitely worth it. If you’re looking for traditional items, but are unable to travel to different parts of the country, where they are made, head to Hannsi, in El Hatillo located just on the edge of Caracas. Hannsi is a huge craft store, selling all kinds of traditional as well as some modern handicrafts which were bought under fair trade regulations from communities around Venezuela. Poor policing and little government money influx has led to violent crimes, and some statistics regard Caracas as one of the most dangerous cities in the world, with extremely high rates of murder and gunpoint theft. It is advisable to always travel in groups, avoid wearing any jewelry, and carry with you only small bills in a decoy wallet as well as a cheap decoy phone. Driving alone is dangerous, and should be avoided if at all possible; if you do drive keep your eye out for people on motorcycles. Local Venezuelans are extremely helpful, and are very aware of the security situation so turn to people you trust for help on what to do and where not to go. One of the most bizarre things in Venezuela, is the currency exchange, and the variation between the official rate and the tourist rate. Tourists, now use the ‘tourist exchange rate’, and all foreign credit cards will automatically use this rate, as opposed to the official exchange rate. There are also bolivars exchanged on the black market, so depending on where you change your cash and at what time, things may be very expensive or very cheap – be sure to check the rates once in the country. It is a good idea to always use cash, as the rates may fluctuate day to day. 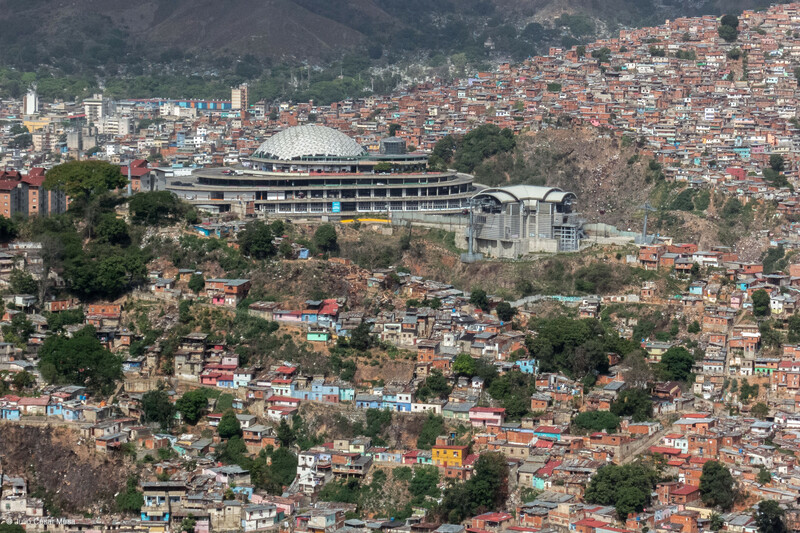 Caracas’s international airport is located 50 minutes from the center of Caracas using a newly built highway through the mountains. The airport is serviced by major international airlines, with direct flights to most major cities around the world. When leaving Caracas, plan to be at the airport at least 3 hours ahead of time because of extensive security checks. Getting from the airport to the center you can use official taxis, at a rate of about $ 50 USD , or unofficial taxis that may charge a cheaper rate. If you do take unofficial taxis be sure to travel in groups, do not share your taxi with other strangers, and decide on a price before starting your journey.